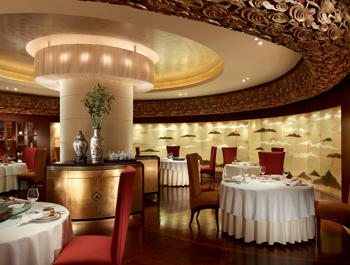 The acclaimed signature restaurant of the Shangri-La Hotel group, Shang Palace serves guests the best of Cantonese cuisine. The new Dunes Café offers you an all-day dining experience with live cooking stations, where food is freshly prepared by our world-class.. Enjoy the tradition of exquisite Vietnamese cuisine created especially for your enjoyment at Hoi An, which offers fine Vietnamese cooking with French influences. 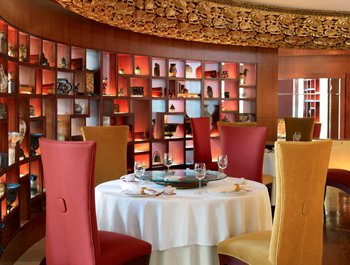 The cheerful, airy courtyard at Marrakech is an ideal spot to savour a contemporary approach to Moroccan cuisine. Experience the classic elegance of Old Shanghai at the Balcony Bar, which offers coffee, cigars, fine wines and cocktails. 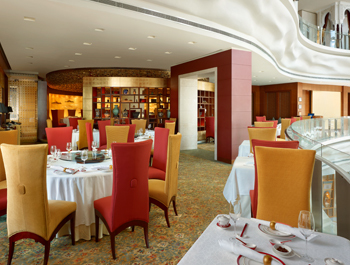 The Lobby Lounge provides a diverse range of refreshments around the clock, including afternoon tea and evening cocktails.